Haddon Township is Open for Business! In recent years, downtown Haddon Township has dramatically transformed. The business core has transitioned into a vibrant, bustling district filled with individual proprietors and small-town shops, mid-size firms and corporate company headquarters—not to mention plenty of spots to eat and drink, events to attend, places to live and services to experience. The redevelopment of the Westmont Theatre, Haddon Towne Center and Albertson Village sparked a downtown revitalization which has brought an influx of new residents and customers that have given our business districts a renewed vibrancy. The dozens of unique events that will be hosted this year at Haddon Square will add to the many community-wide events that take place each year. 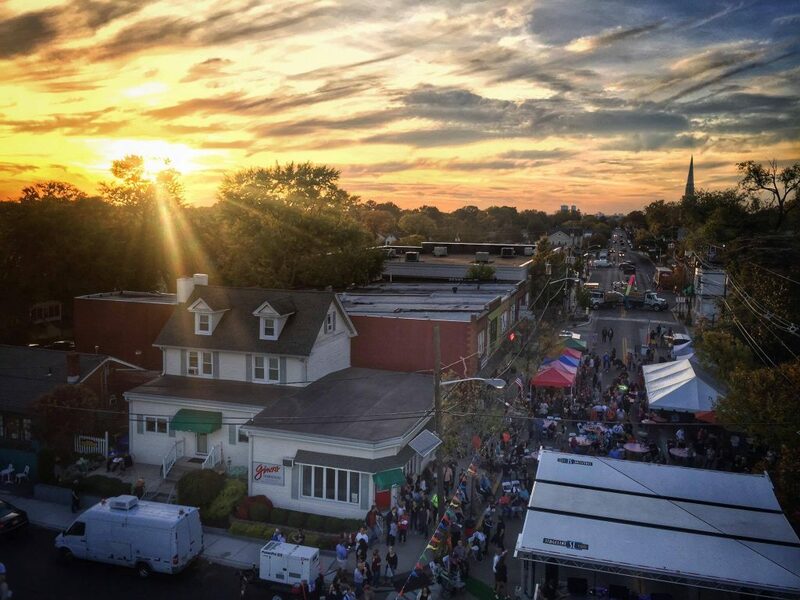 The character of our downtown is amplified by its many events including a seasonal farmer’s market, Summer Solstice, Holiday on Haddon and the Haddon Township Music Festival that attracts thousands of people. Within the past year, more than eight new businesses have opened and are calling Haddon Township “home” — Hildegard & Blaise, Hammer & Stain, Phidelity Records, Pooch Patisserie, Ride Cycle Studio and Margie Cedrone Jewelers to name just a few. Target with an in-store Starbucks is set to open in July at the Westmont Plaza along with arts and crafts giant, A.C. Moore creating more than 100 new local jobs. On Haddon Ave., the addition of P.J Whelihan’s new concept restaurant, Central Taco & Tequila set to open late summer, will have indoor and outdoor seating, a full bar with an extensive tequila and margarita list and a Mexican-influenced seasonal fare. The restaurant will be hiring approximately 50 new employees. Last year, P.J.W. restaurant group moved its headquarters to Haddon Township, the 8,000-square foot space on Haddon and Crystal Lake, has deepened their commitment to our town and business community. Baim Enterprises, Inc., owners of the McDonald’s franchise are also in the final stages of their application to demolish and build a new modern concept restaurant with two drive-thru lanes at their present location on Cuthbert Blvd. There is no doubt that small businesses play a critical role in fostering the economic vitality of a community, generating both jobs for residents and revenue for the township. Downtown Haddon Township is a place that you can find the essentials as well as the extras with our variety of independent restaurants, retailers and services, making Haddon Township a destination for visitors and residents alike. We encourage you and your families to utilize this newly designed Shop Haddon website as a tool to support our local business community and choose to shop local first!